People traveling through Dallas/Fort Worth International Airport were treated to a peculiar sight Wednesday morning. 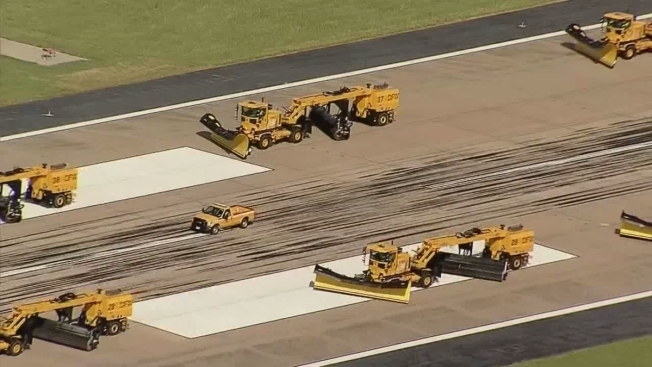 Ground crews broke out their snowplows to begin training for winter weather — two seasons ahead of time. It's not just a matter of de-icing. Training teams learned how to drive snowplows in side-by-side formations on runways and taxiways. Crews were out training during the morning hours and were scheduled to finish before noon, officials said. Wednesday's high temperature was forecast to reach 99 with a heat index between 105 and 109, according to NBC 5 Meteorologist Grant Johnston.